There’s no need for the new year blues – we are kick-starting the year with these 6 ICOs to watch in January. Ink Protocol is a decentralized reputation and payment system for peer-to-peer marketplaces. It provides a safe space for users to send and receive money. Buyers can view seller’s reputation across multiple marketplaces, and sellers reap the benefits of it being decentralized and public, meaning it’s available anywhere. It can be integrated into new or existing marketplaces – even for those that don’t directly handle payments. Pre-sale registration is now open. Join the Ink Protocol whitelist here. 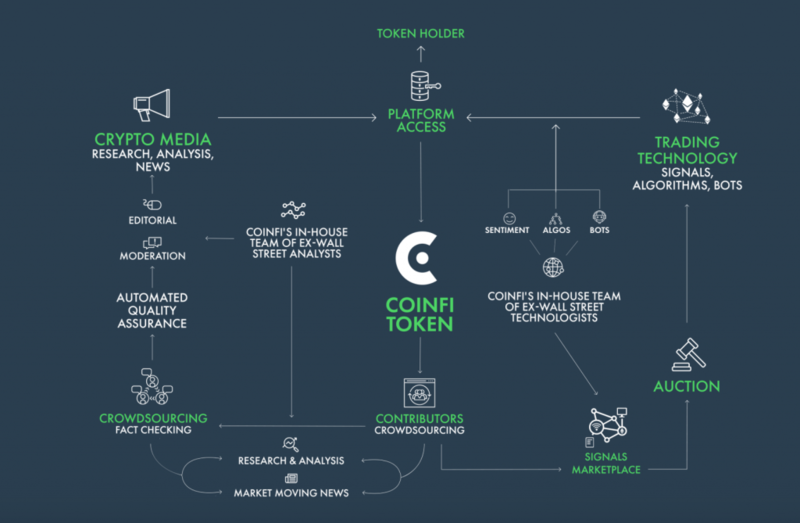 CoinFi is a market intelligence platform for crypto traders that offers crowdsourced and professionally curated research, analysis, trading signals, trading algorithms, and market-moving news. Cryptocurrency traders are provided with real-time market intelligence, and the COFI token gives access to premium features and content, acts as a unit of value in auctions for exclusive content and serves as compensation for content contributions. Join the CoinFi whitelists here. 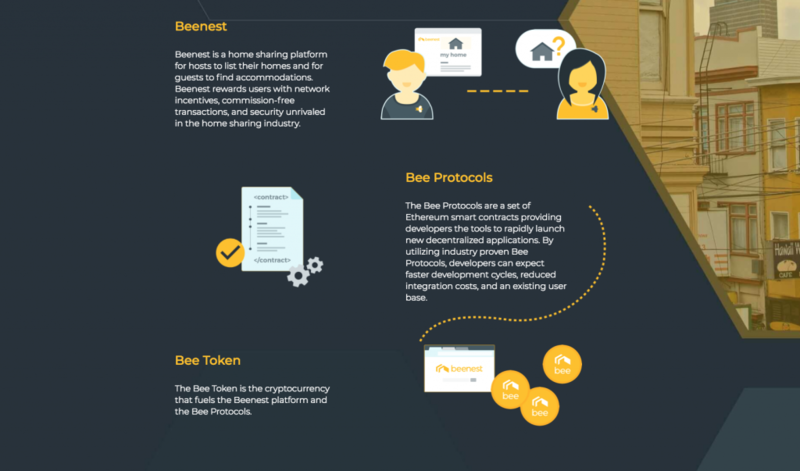 Employees from Google, Facebook, Uber and Civic have come together to create Bee Token, which sets out to be ‘the future of home sharing’. Users can list their homes, guests can find accommodation, and users are rewarded with network incentives, commission-free transactions and, as per the website, ‘security unrivaled in the home sharing industry’. With a pre-sale that closed in five minutes on Jan 2nd, they are currently building Beenest and Bee Protocols on the Ethereum blockchain. Join the Bee Token mailing list to get notified when the Bee ICO starts. Gems is a company competing with Amazon Mechanical Turk and CrowdFlower, in the way that it is a platform for contracting workers to perform micro tasks, in their case, primarily for companies. The company focuses on labelling data for deep learning – a field within machine learning and artificial intelligence, which tackles natural language processing and image recognition. Follow the instructions in this post to join the Gems pre-sale. Distributed social proof insurance InsurePal runs the slogan ‘if your friends trust you, we trust you’. InsurePal aims to bring a complete change to the insurance world as it stands today. It is based on social proof endorsements, and will offer a brand new type of coverage. Aiming to replace insurances, the founders believe that the blockchain is is exactly where they need to be. Join the InsurePal ICO whitelist here. GoNetwork is tackling the issue with blockchain technology that centers on speed and high cost of transactions. Through the launch of its very own highly scalable, low-cost, mobile-first network infrastructure for Ethereum, it allows off-chain transactions. 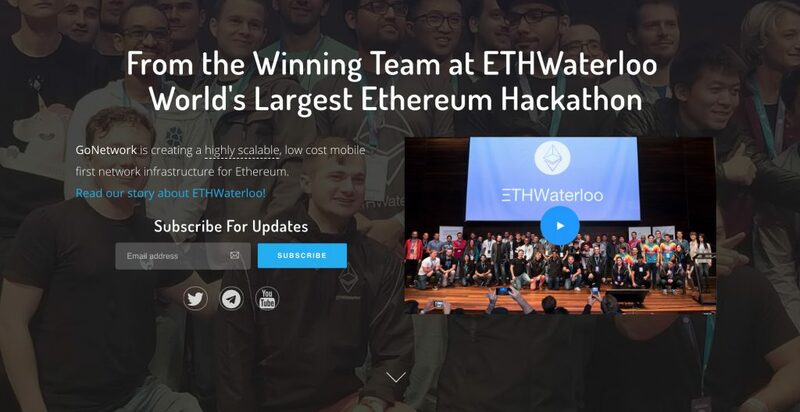 Created by the winning team at the world’s largest Ethereum hackathon ETHWaterloo, GoNetwork also aims to look at partnerships with governments and organisations. Join the GoNetwork ICO whitelist here. Not at the moment – we might launch one later this year!